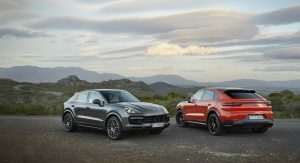 The third-generation Porsche Cayenne family is extending its arms to welcome a brand new version to the table, featuring a sloped roof line and an overall sporty design. 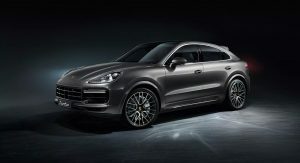 This is the new Porsche Cayenne Coupe. 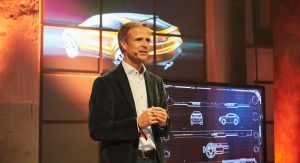 Highlights include sharper lines than the regular model, a rear end design that the automaker describes as being unique, an adaptive rear spoiler and either a panoramic fixed glass roof (fitted as standard) or an optional carbon fiber one. 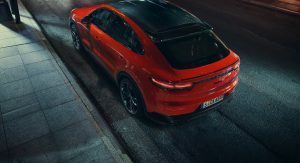 “The Coupe includes all the technical highlights of the current Cayenne, but has an even more dynamic design and new technical details that position it as more progressive, athletic, and emotional,” said Porsche chairman Oliver Blume. 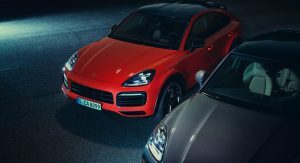 The Cayenne Coupe also has a shallower front windshield and A-pillar compared to the regular version, while its roof sits roughly 0.78 inches (19.8 mm) lower. 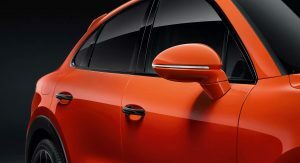 Other design features include the redesigned rear doors and quarter panels, a license plate bracket integrated into the bumper, plus the previously-mentioned active rear spoiler that extends by 5.3 inches (134.6 mm) at speeds of 56 mph (90 km/h) and above. 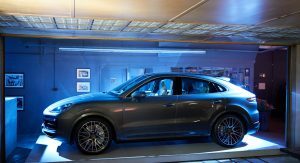 Meanwhile, the carbon fiber roof option is a premiere for the Cayenne model line, and is exclusive to Coupe models. 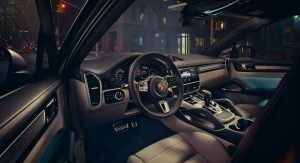 This option is available in one of three lightweight sport packages that also happen to include Sport Design features and the new, lightweight 22-inch GT Design wheels, fabric seat centers in Pepita, plus carbon fiber and Alcantara accents for the interior. 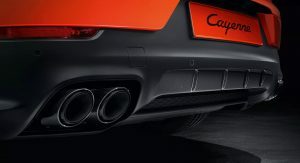 In the Cayenne Turbo Coupe, the package also includes the Sport Exhaust System. 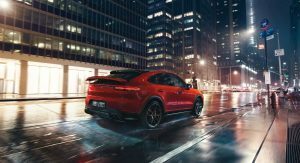 Cayenne Coupe variants boast Porsche Active Suspension Management (PASM) as standard, as is the Sport Chrono Package and the 20-inch wheels. 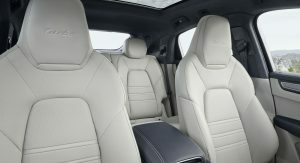 Also standard are the eight-way Sport Seats and the rear bench (with individual seat characteristics). 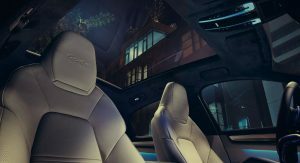 Buyers can however get the comfort rear seats as a no-cost option instead. 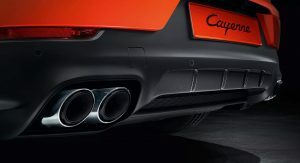 Speaking of sitting in the rear of this car, you sit 1.18 inches (30 mm) lower than in the regular Cayenne. 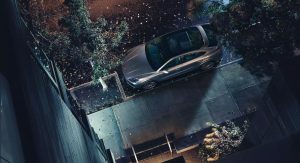 There are 22 cu.ft (622 liters) of cargo volume, which you can boost to 54.3 cu.ft (1,537 liters) if you fold the rear seats. 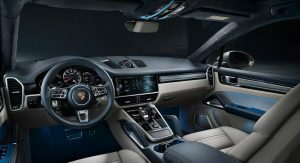 The Turbo version has slightly less volume though, with 53.3 cu.ft (1,509 liters) with the rear seats folded and 21.2 cu.ft (600 liters) with the seats in an upright position. 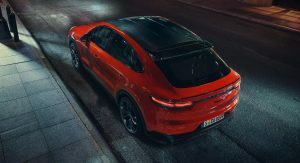 Initially, buyers will be able to order their new Cayenne Coupe with one of two engine options. 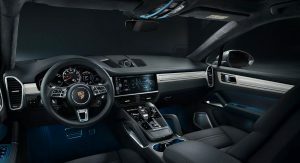 First, you have the 335 HP (340 PS) 3.0-liter V6 on the standard version, which also produces 332 lb-ft (450 Nm) of torque and can get you from 0 to 60 mph (96 km/h) in 5.7 seconds (5.6 with the lightweight sport packages). 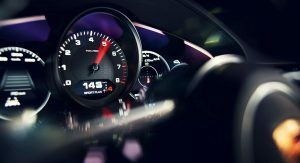 Top speed is 151 mph (243 km/h). 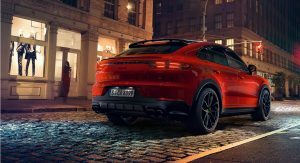 Then there’s the flagship Cayenne Turbo Coupe model which uses a 4.0-liter twin turbo V8, good for 541 HP (549 PS) and 567 lb-ft (768 Nm) of torque. 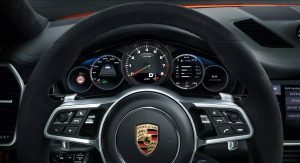 In a straight line, it will get you from zero to 60 mph in 3.7 seconds, and has a top speed of 178 mph (286 km/h). 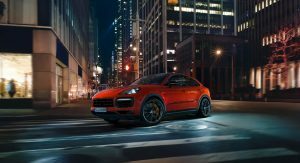 U.S. buyers can expect to see the new Cayenne Coupe in showrooms this fall, with a starting MSRP of $75,300. 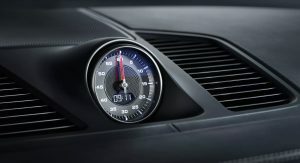 The top of the range Turbo Coupe version costs upwards of $130,100. 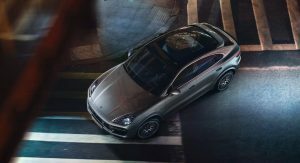 Both prices exclude the $1,250 delivery, processing and handling tax. 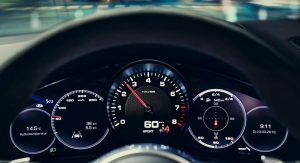 As for how it compares with its rivals from BMW, Mercedes and Audi in terms of pricing, it’s safe to say it’ll cost you more. 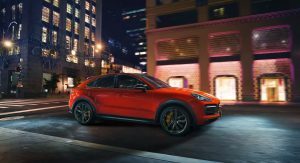 The BMW X6 is priced from $63,550, the Audi Q8 from $67,400 and the Mercedes-Benz GLE Coupe from $71,350. Because that’s what people are buying these days. I would like it to stop but these things basically print money for manufacturers. As long as they make money so better sports cars can be made, I can live with it. This just doesn’t seem/look different enough to warrant its existence. 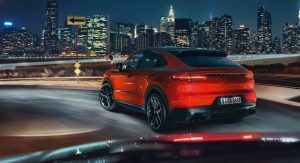 Like with the GLE Coupe/X6, they look a little different from their SUV parents (regardless to how you feel about them). 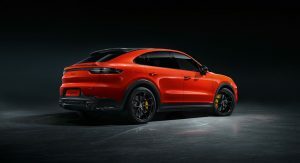 I am sure Porsche will sell everyone of them but this seems the most laziest of all the coupe SUV’s. 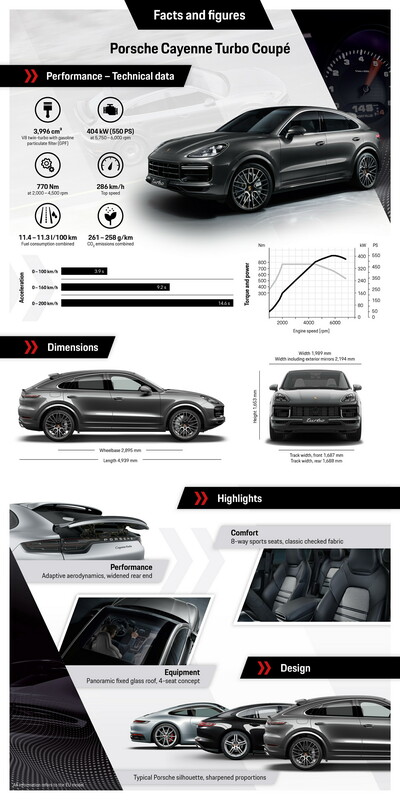 This looks a lot better than the X6 or GLE. 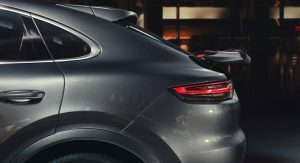 Certainly has more of a traditional Porsche roofline as well. 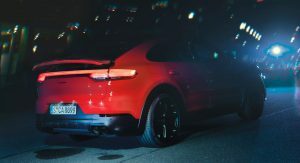 Almost seems like a larger Macan. Ehhhhhhhh….. cool… i guess? It’ll sell like hot cakes. 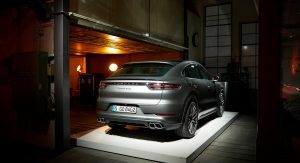 Hopefully it offers a more dynamic drive than the regular Cayenne, which is brilliant within itself. 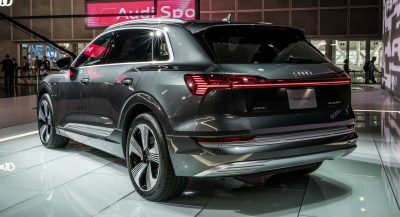 I don’t like this whole “Coupè-SUV” trend to be honest. But I’ll admit it’s good looking. What’s next tho? 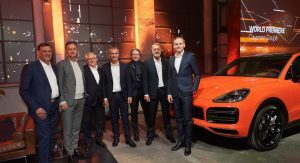 A Porsche Macan 2dr Coupè? 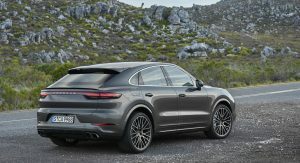 A Porsche Cayenne Targa? 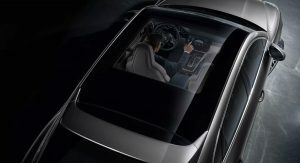 Seems like bodystyle possibilities are now virtually endless. 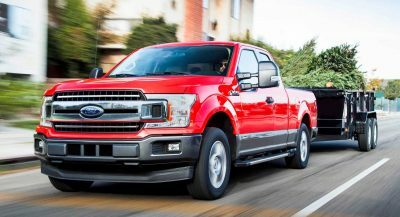 I disagree, the overhang is barely noticeable (or bothersome) and there is no way to get around the need for space in front of the engine for crash structure, radiator and intercoolers. 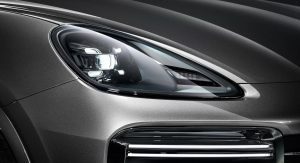 The front surfacing of the Cayenne is curved so it is well disguised, reducing the overhang would also make the front look stubby (kind of like the first-gen Cayenne which everyone thought was ugly). 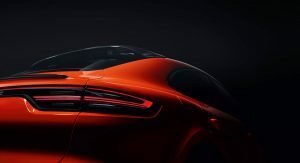 Look at the side-profile in the gallery and tell me how they could still achieve that gently sloping bonnet (Porsche trademark) if they cut a bunch of length from the front. It’s not possible (engineering requirements aside). I agree. I think with a slight shorter overhang it would look a little better. Good point……..in my opinion. yup, looks like a teenage mutant ninja turtle! 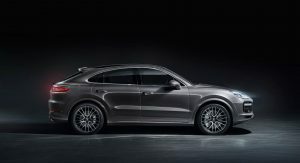 Yay, another pointless SUV Coupe. 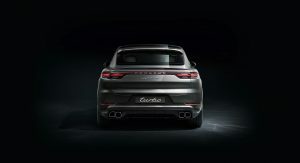 Next up – the lifted Panamera and Sport Turismo “X” packages… because why not? Nothing exceeds like excess. With woodgrain decals on the sides? 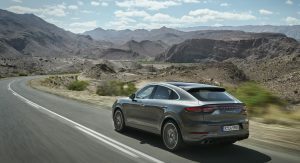 Except that only 911s can be Safaris; as an official moniker, General Motors probably still has a trademark on “Safari”, and a lifted Panamera is really just a lifted wagon, a la “Outback”. But I do agree with you in concept. Oh, I see that those crazy Germans are still at it. Dreaming up niches within niches within niches within niches…Ridiculous. Somewhat laughable. 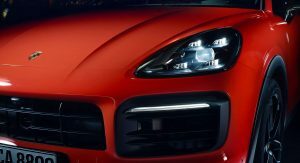 Porsche keeps trying to make a Cayenne that isn’t hideous, bless their hearts. 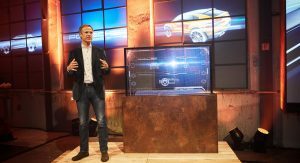 Much better than the efforts by BMW and Mercedes. FYI. 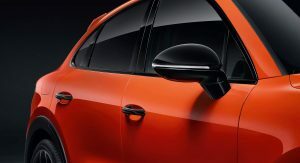 Cars with FOUR doors are NEVER COUPES!!!! EVER! 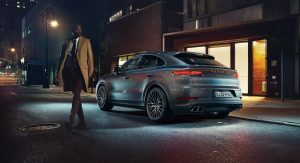 Porsche is completely destroyed with so many models, not that special anymore. 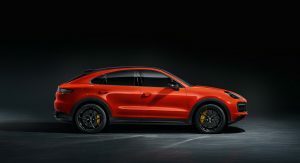 Somehow it doesn’t look much better (if any) than the regular Cayenne. I have to see it in real life, but at first sight I can’t see the point for this. 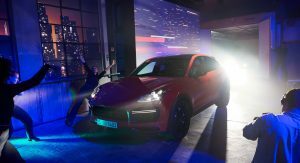 The X6 looks vastly different than the X5 and has its own audience. These bustards have pulled it off! Uhhhhh no. 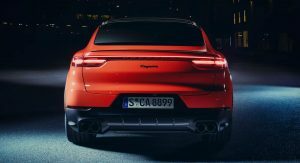 The regular Cayenne is still better. BUT this still looks pretty good! This looks better than I thought it would. It looks really good actually. I cannot agree more. Spot on. So, you think it’s ok to steal the words right of peoples (my) mouth, aye? (haha). 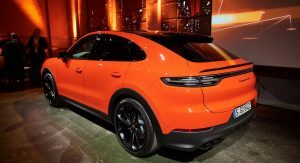 While I am not sure I completely agree (after some thought) I feel as though this should have been applied to the Macan, the Porsche Macan in my opinion is what THIS should have been in the first place (or it at least should have been a coupe, just like this). 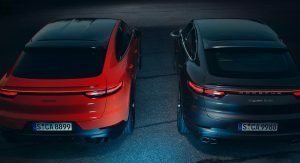 Surely Macan will be next to get the ‘coupe’ treatment? 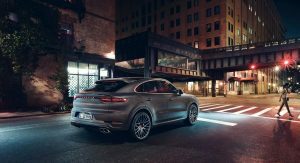 The Macan is already very coupe-ey. 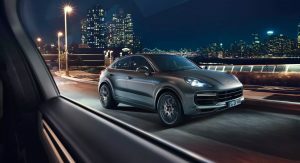 I like the regular better then this coupe Cayenne! Eh… it’s ok. 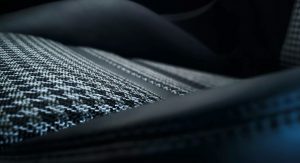 But those houndstooth cloth on those seats?!!??! I love that! 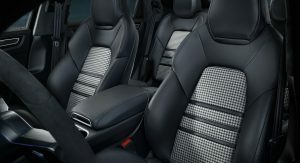 Looks so nice and I love cloth on seats. Glad to see this is on offer. No surprises here. 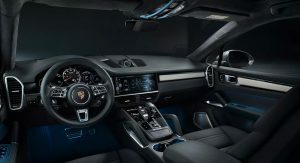 It looks good, I don’t know why the Cayenne gets all the hate. 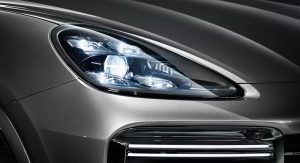 For Porsche, yes. 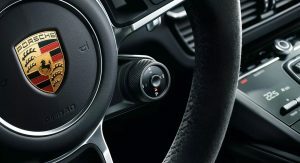 For VW, no. 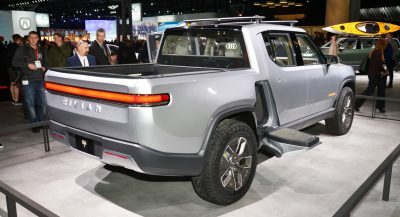 Still looks better than the Mercedes GLE. should I be checking my speakers, or did the engine noise sound strange!!?? 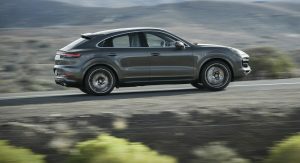 I am no fan of SUV Coupes, however this is the best looking SUV Coupe on the planet right now. 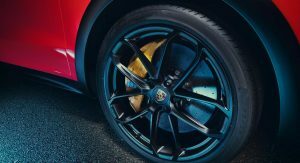 Trust Porsche to do a proper job on this. ‘Coupe’. 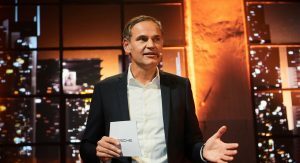 Is that German for ‘Brougham’? A silly name. QUESTION. 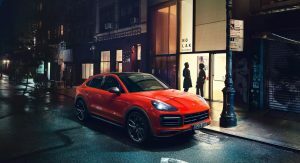 If you said, “I just bought a coupe!” how many people would think SUV? I’m guessing…. NONE! That said… name aside… it’s very nice! Erm, what’s ‘nice’ about it??? 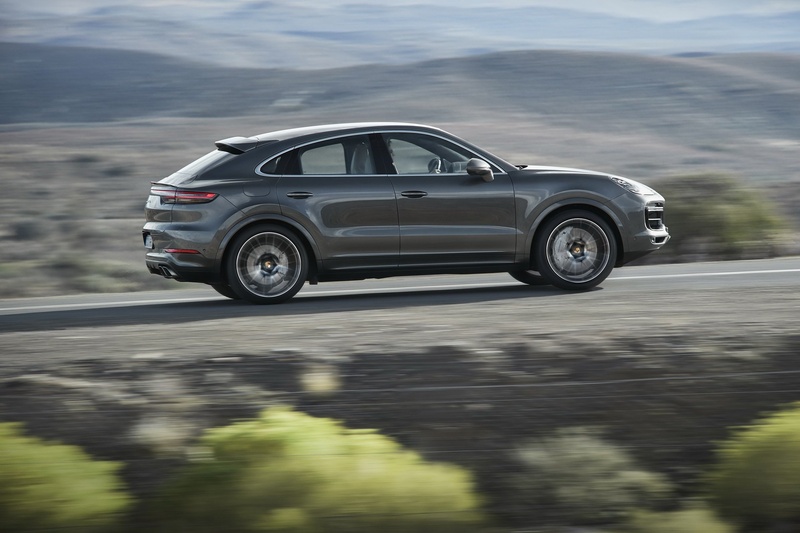 For a compact SUV – it looks pretty good. 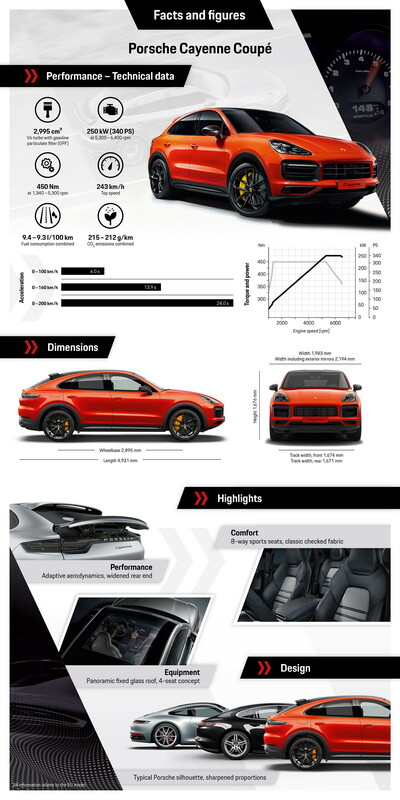 *Buys a Cayenne Coupe, then buys a roof box because he wasn’t smart enough to get a more practical normal Cayenne in the first place. 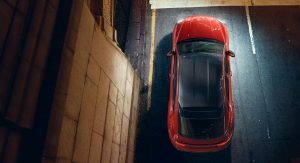 I see plenty of BMW X6’s with roof boxes driving around. 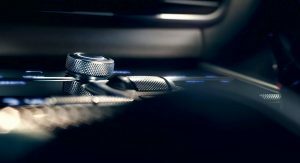 You can blame BMW for this crap. 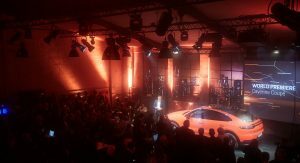 BMW wouldn’t have made it if there was no market . . . . If anyone is to blame, it’s the buyers . . . 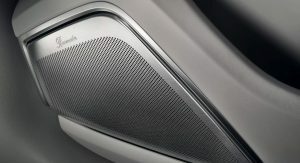 In best case a Subaru design! It’s an SUV. People will buy it regardless. 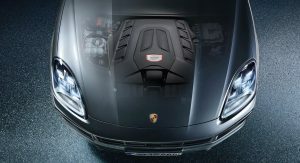 Especially with a Porsche badge on it. 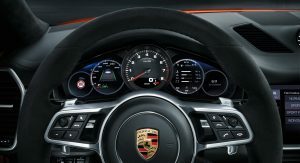 I’m not selling my GT3 RS for this. Glad to see the rich have so many great options and everyone doing so well financially these days, given how prosperous this segment of the market seems lately. 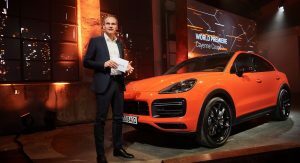 Sarcasm aside, it looks cool in the orange with matching orange brakes. 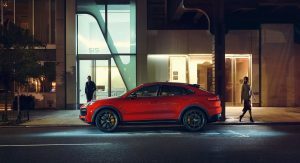 Would love to see Porsche come out with something sporty for $35k for once. 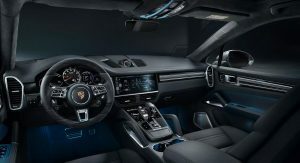 A successor to the old 914.